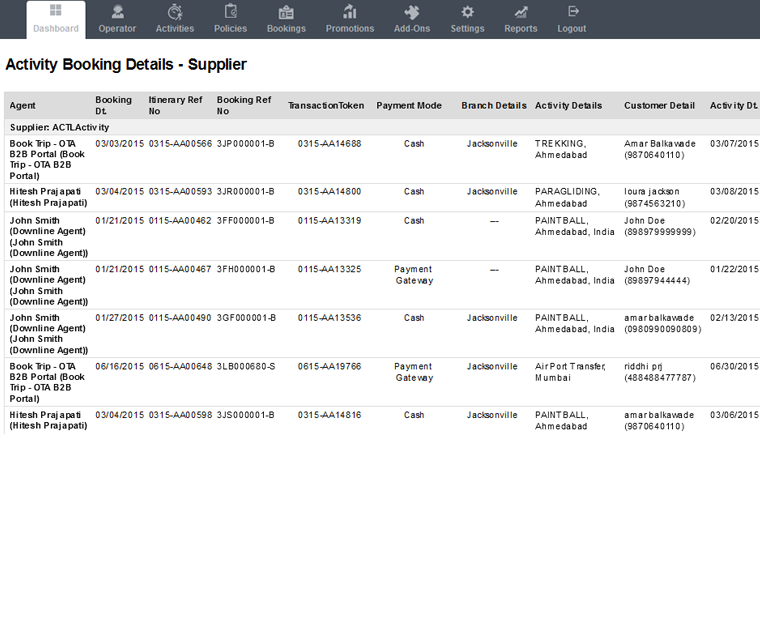 Manage all your tour bookings, back office and accounting on a single cloud-based platform. 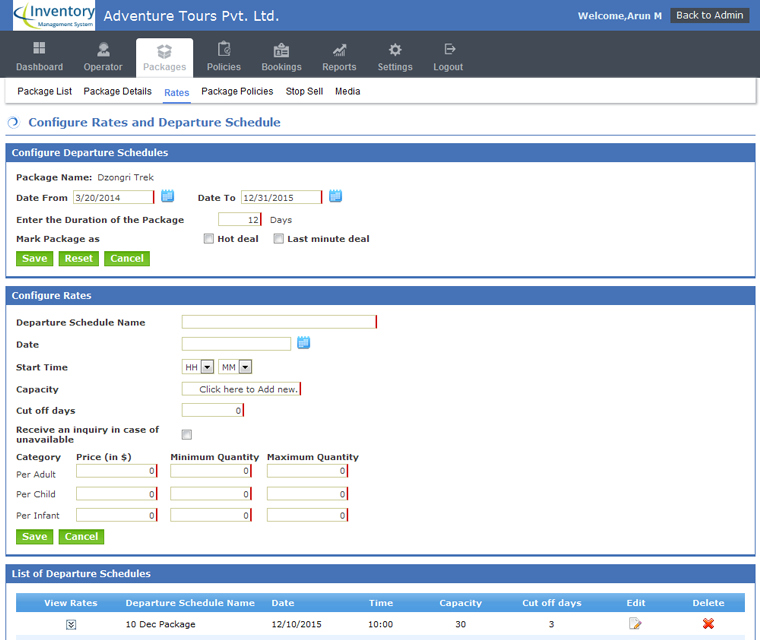 Our Tour Operator System allows you to design tour packages, apply business rules and sell them via multiple online distribution channels. 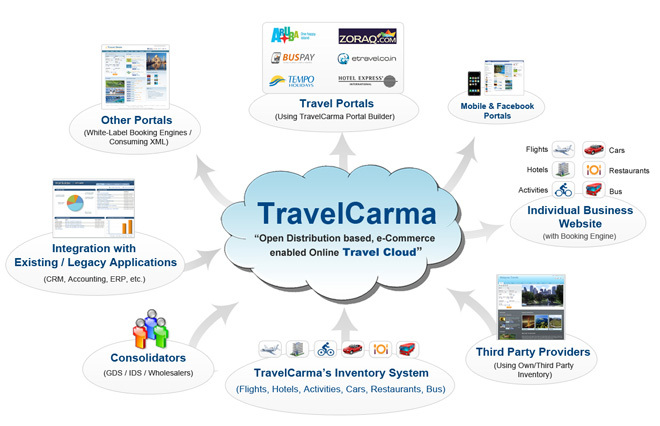 With TravelCarma you can run your tour business more efficiently, work with fewer staff and improve your profitability. 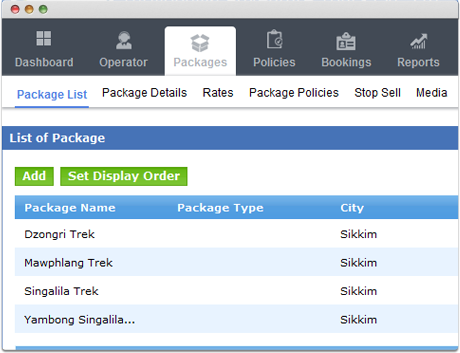 Let your customers book your tour packages online, 24x7! Our portals are attractive and optimized for mobiles and tablets so that you can take bookings both on the web as well as on mobile devices. Moreover, they are CMS based, making it extremely easy for you to customize the site and manage all its content yourself. Offer your customers a seamless online experience with our mobile-friendly portals that work great with smartphones and tablets. So your customers can browse and book your tours from work, home or on the go, with just a few clicks! You can easily update the content and meta tags of your website yourself(without any technical knowledge) to ensure that the content always stays relevant and high quality for both your visitors and search engines. 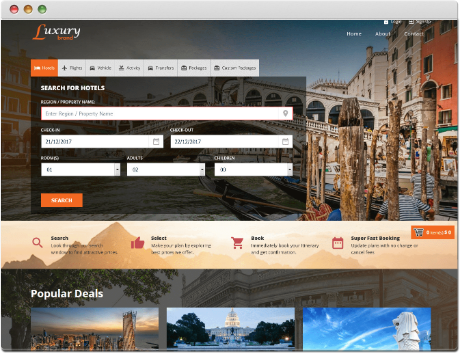 Let your customers/agents search and book your tours/excursions with real-time availability and pricing through our B2C/B2B booking engine. 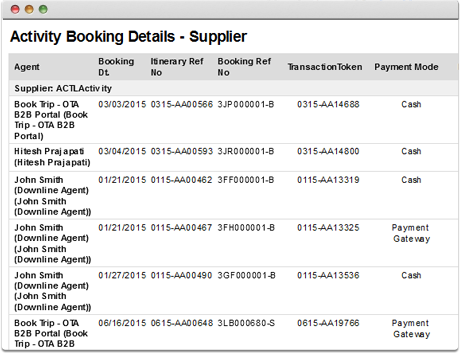 Our Booking Engine is integrated with 30+ Payment Gateways, giving your customers a wide range payment options. 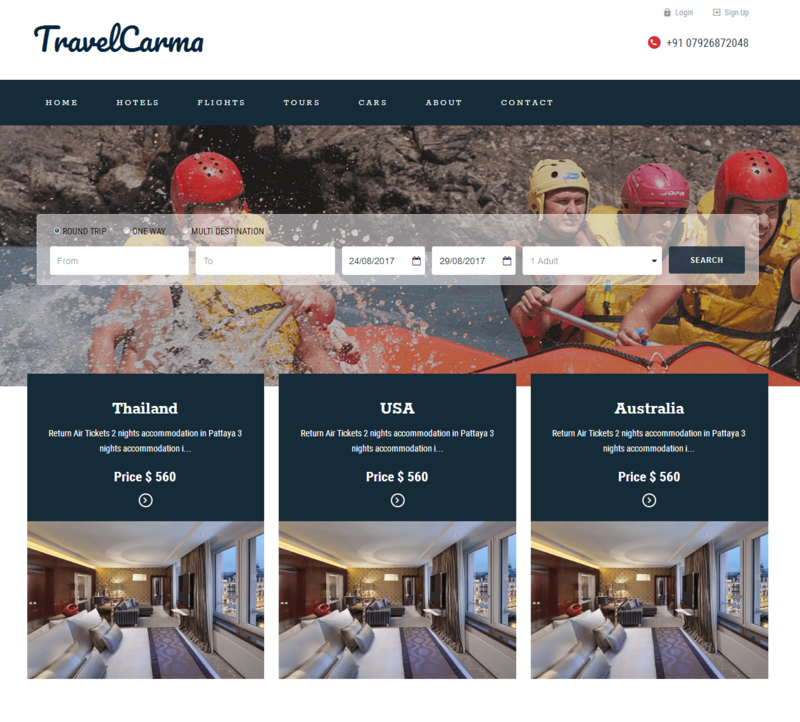 TravelCarma allows Tour Operators to design Fixed packages as well as Custom packages where in the customer can have flexibility to choose different flight, hotel, activity and vehicle options from a standard package. 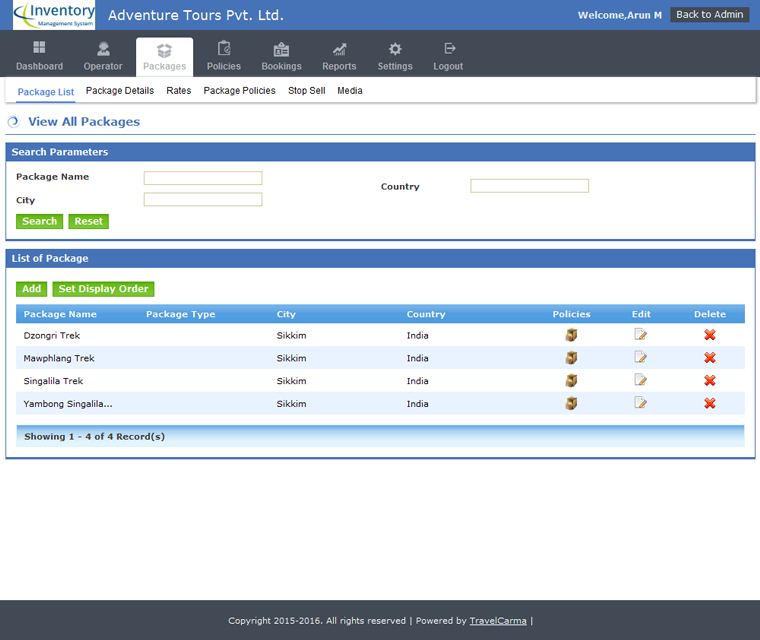 You can load all your inventory in our central reservation system and create fixed packages with fixed components(hotels/vehicles/activities), itineraries and rates and then publish them on your B2C/B2B portal.You can also create a custom package as per the requirements of your customer and share it with them via email. 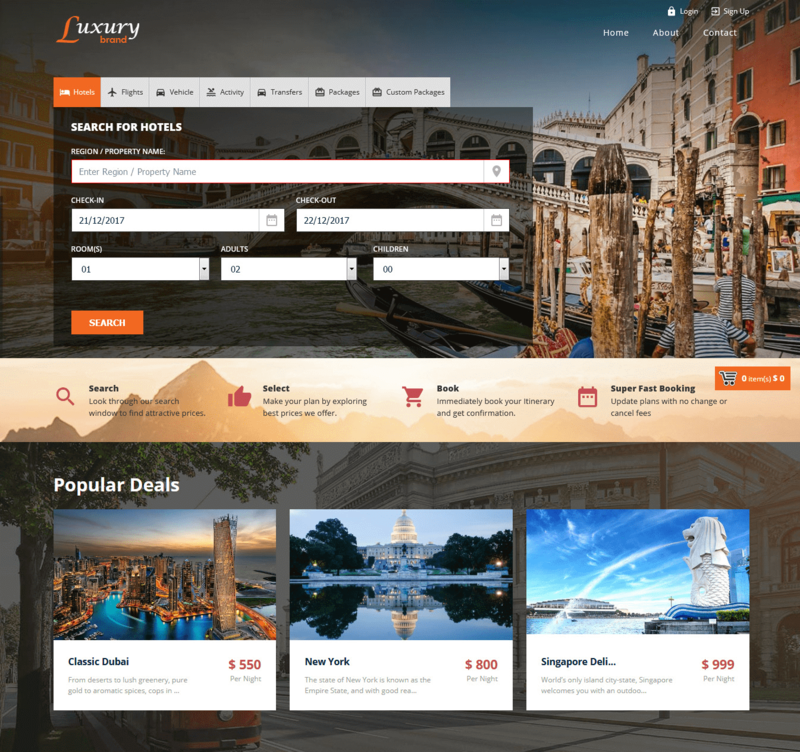 Allow your customers to build their own package from scratch by adding any combination of flights/hotels/activities/transfers from the available inventory into the shopping cart which they can later discuss with you via phone, email or in person. 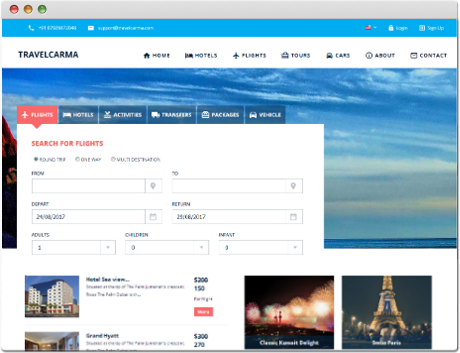 Let your registered customers create their own trip plans and share it with their co-travelers via email, invite them to discuss the plan on the portal and make the booking for the entire group. 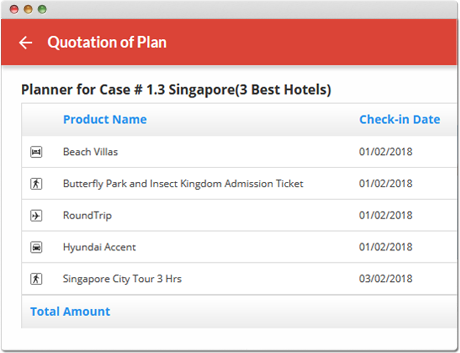 The plan can be saved with a validity date and customer can book the same plan at a later date with real-time rates and availability checks. 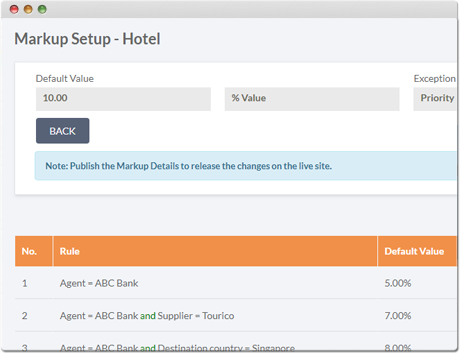 Easily set up and manage complete details of all your contracted inventory of hotels, packages, activities and transfers along with availability and net rates. 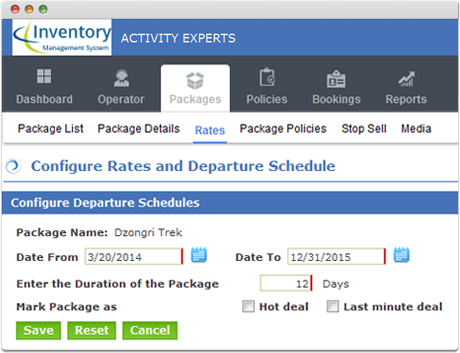 Once you have loaded your inventory into the Inventory Management System(CRS), you can easily add markups and/or commissions to the net rates and control the price to be shown on your website when somebody makes a search using the booking engine. 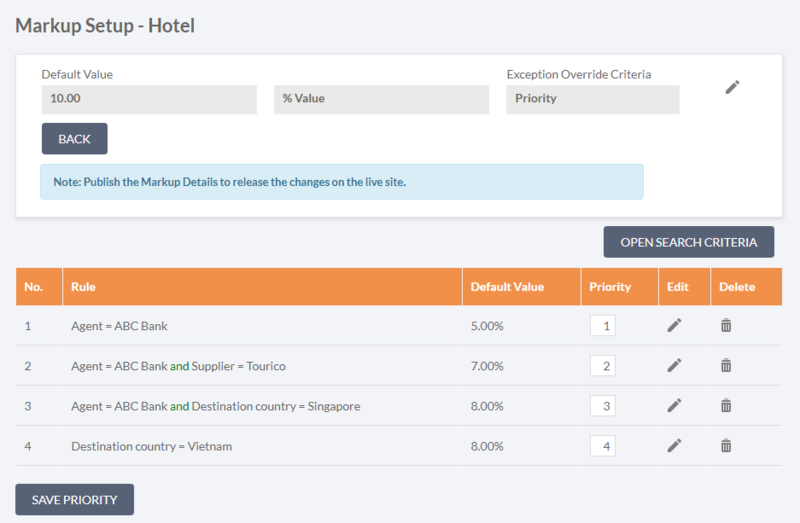 You can also set up business rules, policies, promotions and differential pricing based on season, customer class etc as well as stop sell and black out dates(for hotels). 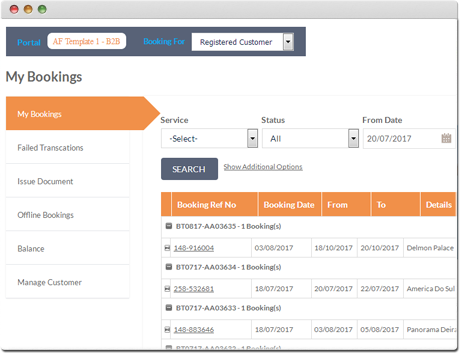 With TravelCarma, tour operators can also allow vendors to log into the CRS so that they can directly manage their inventory. This saves you the trouble of updating the vendor's hotel/car inventory every time. 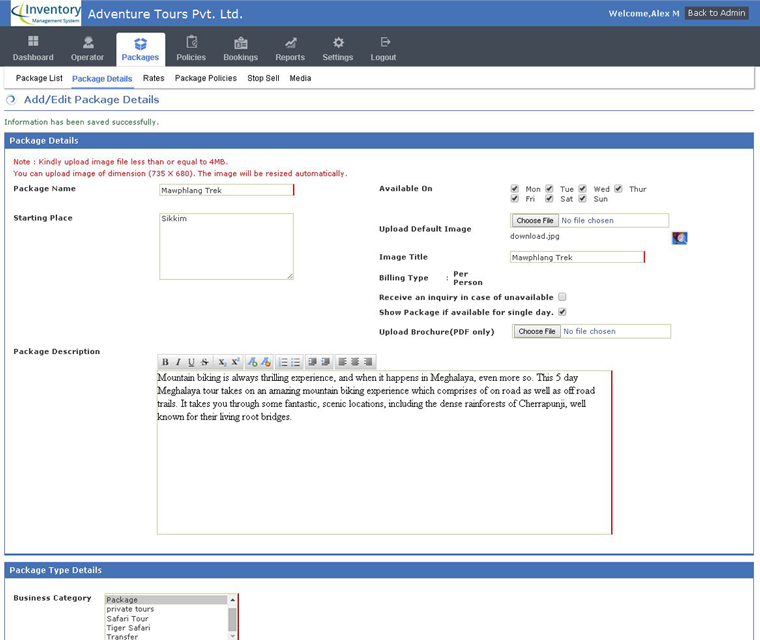 Build quotations for even the most complex tours within minutes and easily share them with your customers via email, thus reducing your turnaround time and cost and helping you service 5x more queries. 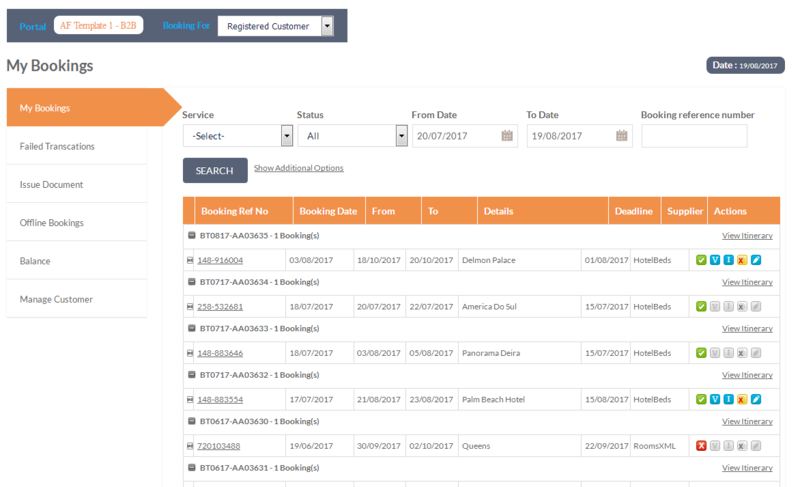 You or your downline agents can select multiple items from your inventory, build a quotation and book all the items together in a single transaction, thus reducing your effort considerably. Create a quote within 10 to 30 minutes and share it with your customers via email, a process which generally takes 6 hours to a day. 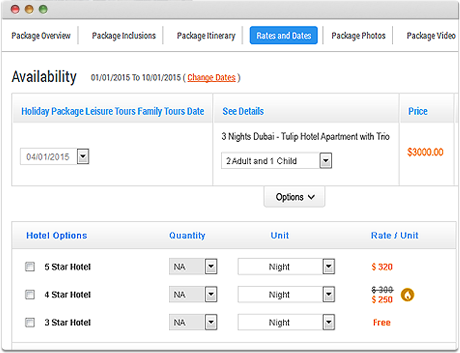 The time and cost you save lets you focus on building better tours, servicing more queries and generating more bookings. 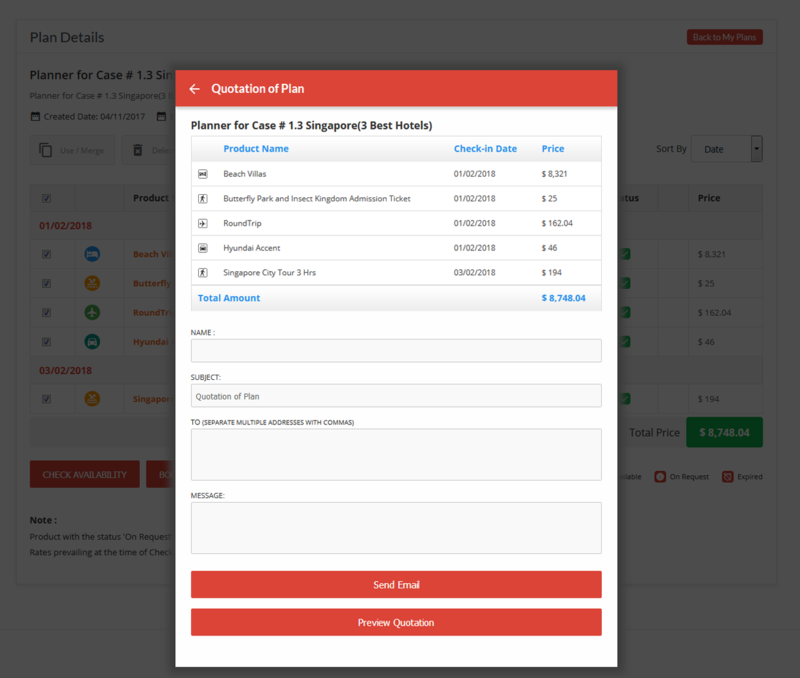 Our system allows you to save a quotation you create for one customer for providing similar quotations to other customers, but with the latest prices. They are like stored packages but flexible in nature wherein you can easily add or remove items from it and get the updated price which you can share with another customer. 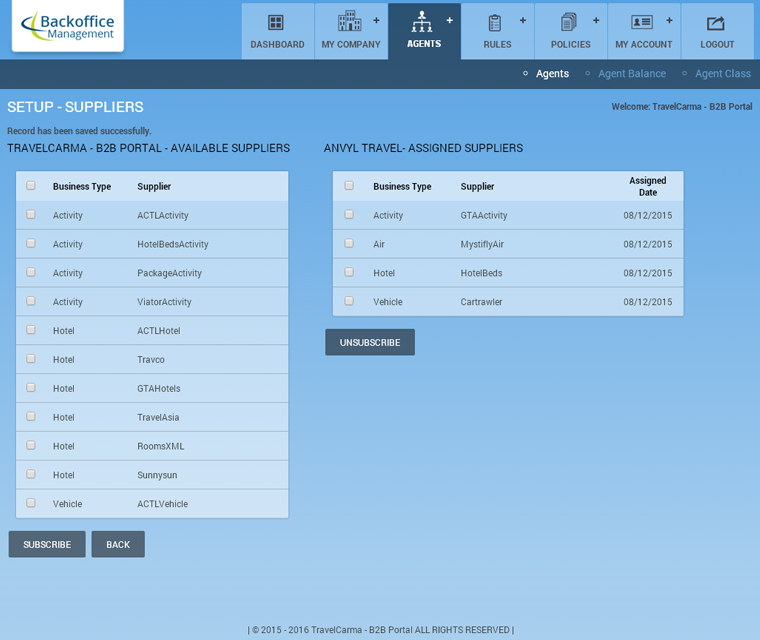 Our tour and activity back-office system automates routine admin functions and helps you manage your Suppliers, Agents and Customers from a central location on the web, so that you don't have to shuffle through multiple screens. It increases your productivity and helps you minimize errors. 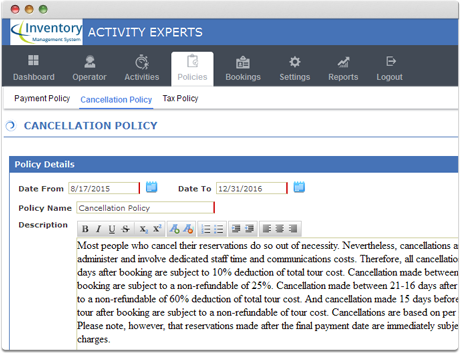 Automate your entire online booking flow along with cancellations and accounting functions such as accounts payable, accounts receivable and reconciliation. 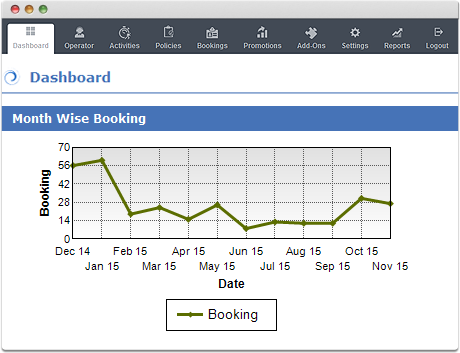 What's more, our system automatically generates weekly, monthly and annual reports to make it easy for you to keep a track of your bookings, revenue and costs. 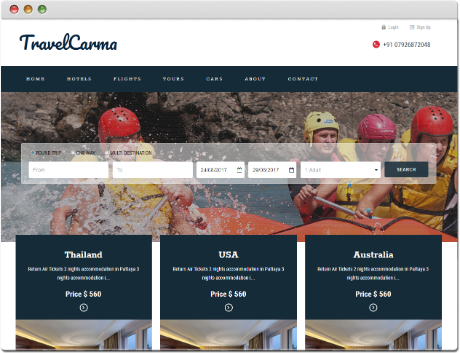 With TravelCarma, you can effortlessly create professional travel documents for your customers, including quotations, itineraries(with photos and maps), confirmations and vouchers, all with your own branding. 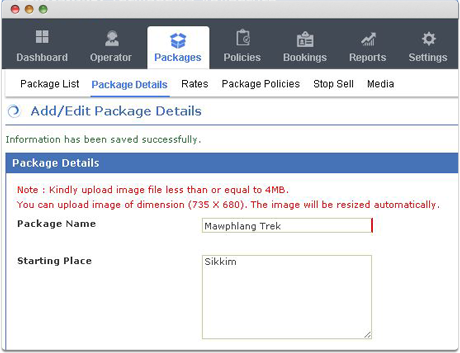 Through our agent portal, your agents can also book your packages and issue documents from their end, branded with their own logos. 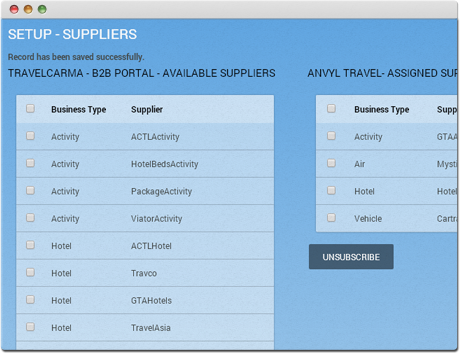 Let your your agents access your inventory through our B2B/B2B2C portals and make bookings on your behalf. 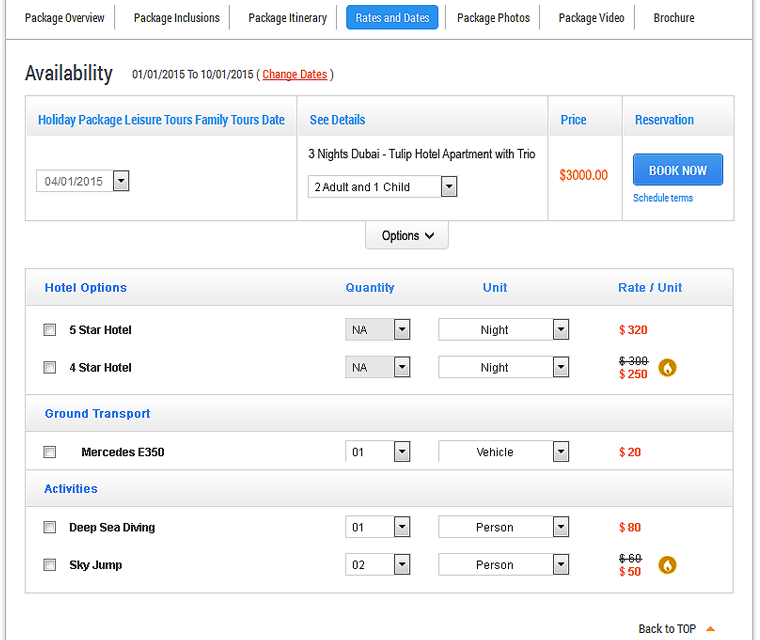 Easily categorize agents into classes and apply markups, commissions as well as promotional/special rates on the different classes. 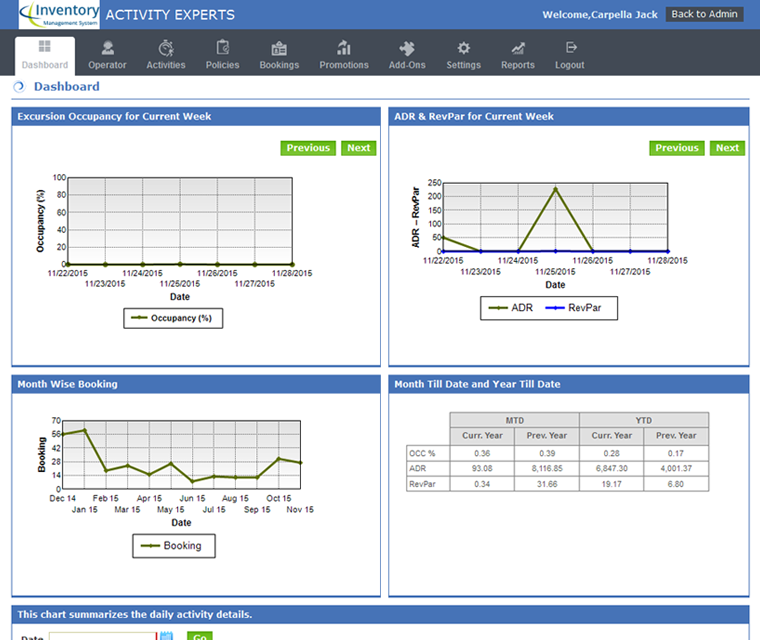 Get in-depth sales reports telling you who your bestselling agents are so you can reward them accordingly. 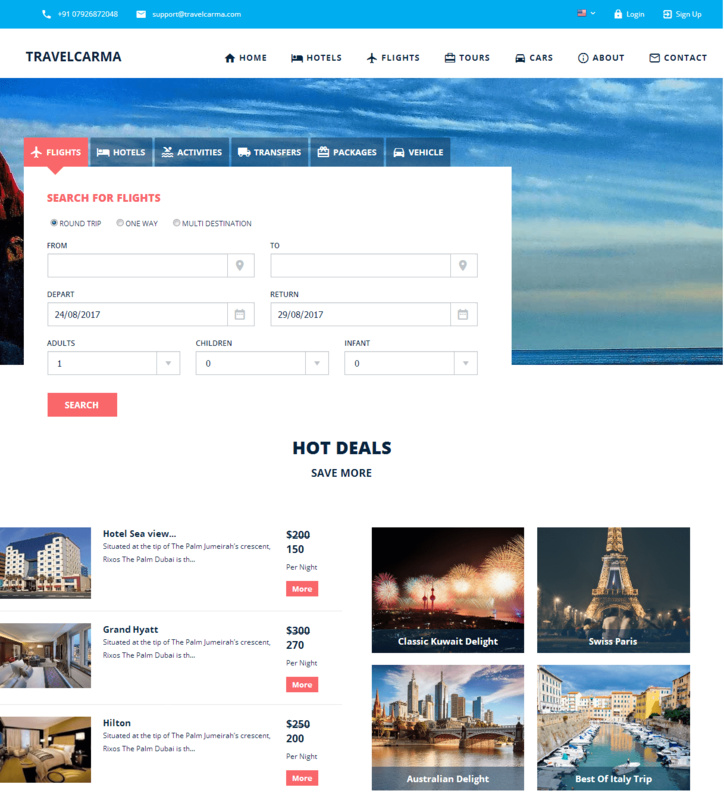 TravelCarma allows Tour Operators to easily connect to multiple suppliers and sell from a global pool of third-party hotel, activity and vehicle inventory, in addition to direct connects. 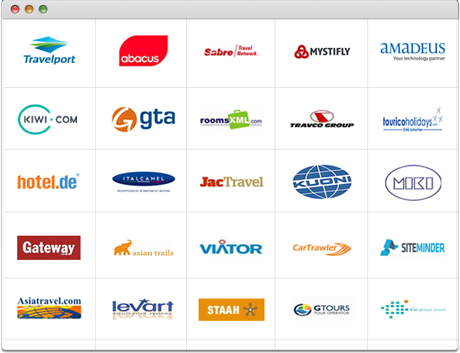 We have integrated over 85 global suppliers for flights, hotels, activities and vehicles. 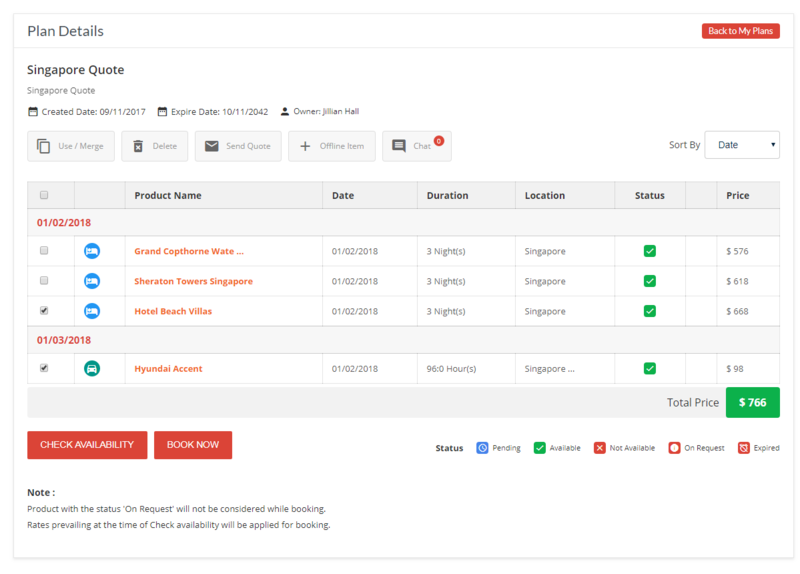 Get access to inventory across a wide range of wholesalers and consolidators in the world, including Hotelspro, HotelBeds and GTA for hotels, Viator for activities and CarTrawler, Hertz and Avis for car rentals. 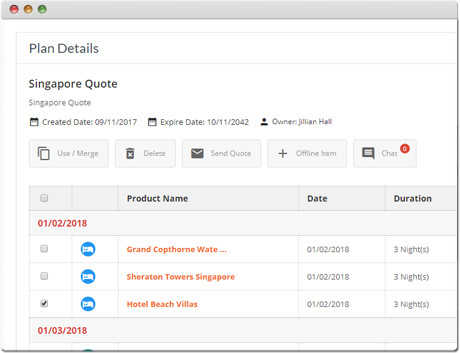 Get easily connected to multiple suppliers with live feeds via a unified XML interface. 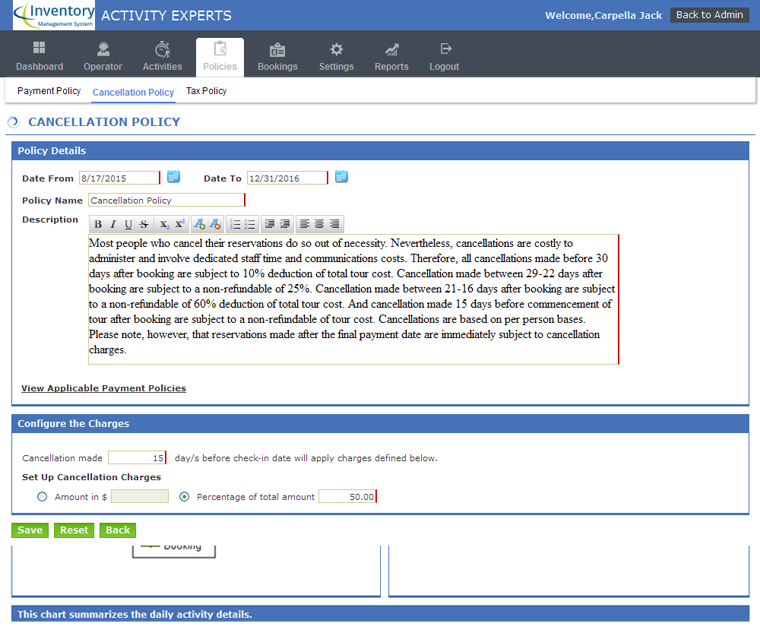 Our system allows you to initiate a single search against multiple suppliers and receive a single integrated response. Our data de-duplication and products mapping process removes duplicates and ensures that you are selling unique and best priced inventories from your system.